Many of you will have been to Steve Faulkner‘s regular sell-out shows at The Greystones. 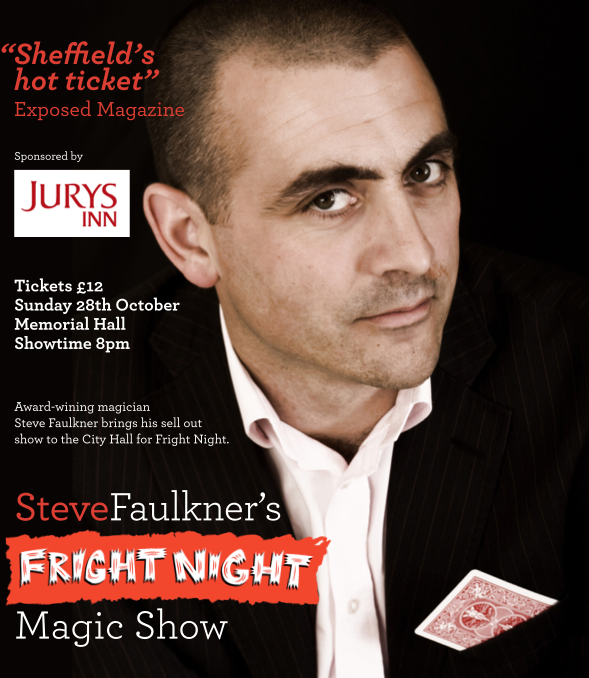 On 28 October Steve will be bringing his show to The Sheffield City Hall for Fright Night. The whole evening promises to be enjoyable, unique, funny and mind-blowing. Tickets are £12 and available from the City Hall or Arena box offices. Get them now to avoid disappointment!